I ONLY recommend things I’ve used PERSONALLY and feel someone else may benefit from! You will NEVER see any resource listed here for the simple fact it may generate $; I really feel the resource may be useful to someone as it has been to myself! This list is subject to change if at any time I feel something has merit and is worth adding or I no longer feel any particular website or resource has that stellar quality made the list in the first place! Use at your OWN RISK; Just because its listed does NOT mean I have given blanket endorsement for all of the associated products, services, opinions, initiatives, or whatever else it may even post on social media! Yes, some of the links below are affiliate links, some are not. We at TPOH.ME are happy to be partners in the worldwide movement to spread happiness to all. UN resolution 66/281 establishes the International Day of Happiness as March 20th every year, recognizing the pursuit of happiness as a fundamental human right and goal, and universal aspiration in the lives of all human beings. Faith is very important in my own Pursuit of Happiness and because of that I'd like to share two resources that I've used extensively in the past and continue to use even to this day. Oh, Amazon how I love thee. Where would we be without Amazon Prime? Running around the shopping mall trying to find things no doubt. Amazon really needs no explanation, but if you haven't already signed up for Amazon Prime (Two-day free shipping, Amazon Instant Video, Amazon Music, Photo Storage, and more) feel free to use this link (Try Amazon Prime 30-Day Free Trial )to do so. If nothing else for the unlimited photo storage. 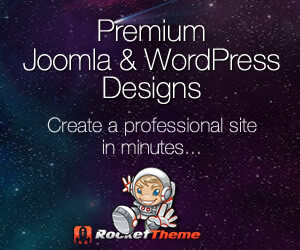 I started using RocketTheme for my websites back in 2012 and they are still producing easy to setup, quality templates.